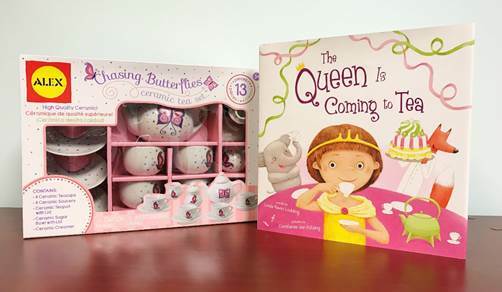 “The Queen is Coming to Tea is a sweet story filled with imagination and heart. 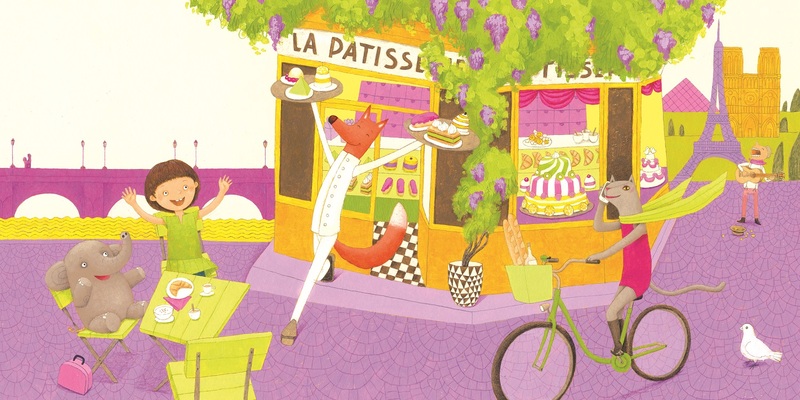 Constanze von Kitzing’s brightly colored illustrations truly bring the story to life. 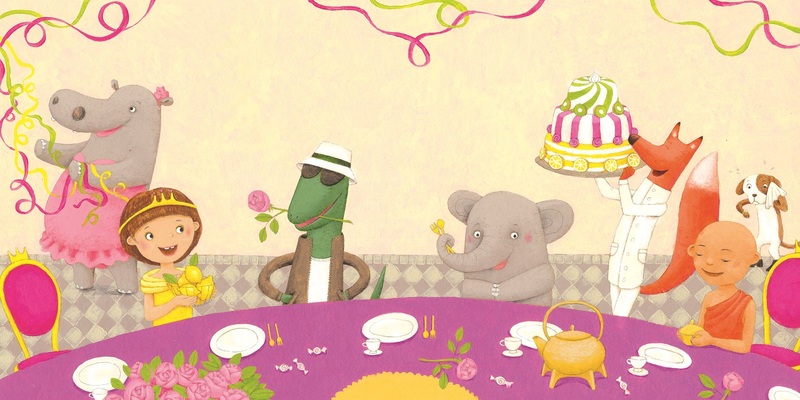 Young readers will enjoy following Ellie on her journey and sharing the final moments between mother and daughter as they share a tea party for two.” – Story Monsters Inc.
Are you looking for a fun activity for you and your child this summer? Join Ellie as she flies around the world to find the best ingredients for her tea party with the Queen! One day there was a knock at Ellie’s door. There stood the Queen’s Footman. “A message from Her Royal Highness.” He offered Ellie a note on a silver tray. May I please come for tea? But will the Queen patiently wait? And what exactly will be waiting for the Queen? 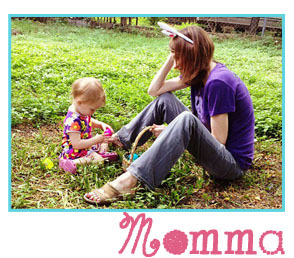 If you are mom to a girl (or in my case – TWO girls) than you’ve probably been invited to your share of tea parties. It is fun when you are the ‘Queen’ and my kids love that we get to dress up and be silly. 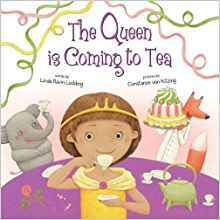 It’s a great time for pretend and dress-up and The Queen Is Coming to Tea serves as a great story to establish the great absurdity it is to be a parent and creative interpreter of our children’s imagination. Why not fly to Paris for some lovely croissants? The Queen always expects the best, and we are not willing to disappoint, even if the ‘Queen’ is really a parent. Love this book!